Get a taste of authentic China with this short by sweet eight-night small group escorted tour. Journeying from Shanghai to Beijing, this wonderful adventure truly shows off the highlights of this vibrant and cultural country. 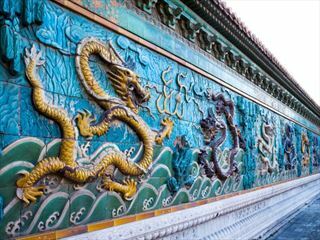 With the interesting Terracotta Warriors, jaw-dropping Wall of China and Beijing’s Forbidden City included on your trip, this is a great way to see China’s iconic attractions, ticking many unforgettable moments off your travel bucket list. 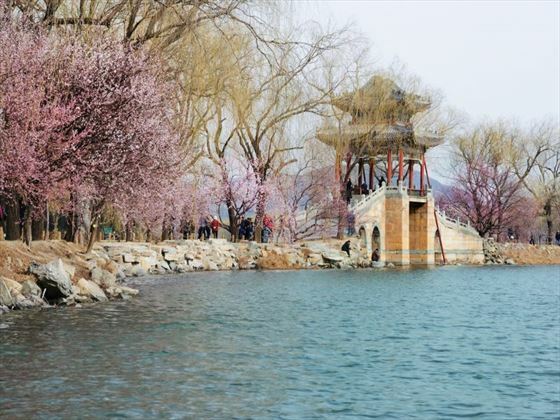 There’s plenty of moments off the beaten track too, including a stay at a local village guesthouse, and exploring Xi’an’s fascinating Muslim Quarter. Come and find out what makes China such an enticing destination (INT - CBSD). Upon arrival in Shanghai, you will transfer to your hotel ready for a Welcome Meeting at 6pm. The rest of the time will be free for you to explore the city. We love the lively and colourful ambience here, with sensational street food and bustling markets. 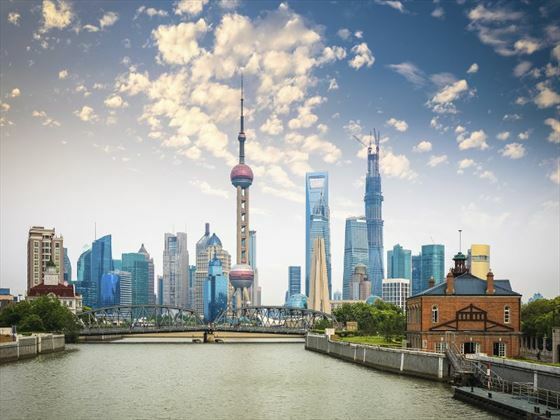 We’d even recommend arriving in Shanghai a few days before the tour begins, giving you ample time to see some of the best attractions, including the Propaganda Museum, the Pearl Tower’s observation decks, and the energetic nightlife. Today will be spent enjoying a guided walking tour of the city, starting with a visit to the Bund. Here you’ll be treated to a taste of Shanghai in the 1920’s with its cool art deco buildings, before wandering through the nongtangs (narrow winding lanes) of old Shanghai to get a glimpse of the local’s everyday life. From there you will explore the French Concession, once designated to the French but now home to the Luwan and Xuhui Districts. Luwan’s bustling Huaihai Road is a highlight – this buzzing shopping street features two very popular shopping and dining spots: Xintiandi and Tian Zi Fang. In the evening you’ll enjoy a fun acrobat show. Day three will be a true insight into traditional China. Begin with a two-hour drive to Xitang, a charming water town known for its beautiful architecture. There’s opportunity for you to enjoy a walking tour, before spending time relaxing by the canals, wandering over scenic bridges, or treating yourself to a cup of tea in a local teahouse. Once back in Shanghai, you will board an overnight sleeper train that journeys to Xi’an (taking approximately 15 hours). The train may not be luxurious, but it’s a wonderful way to truly immerse yourself in the country’s local lifestyle. Your compartment will be open-plan and clean, sleeping six people and offering sheets, pillows and a blanket. Your guide will try to group you with other members of your tour, but this isn’t always guaranteed. We’d recommend taking some cutlery with you if you’re hoping to eat on the train, or come well prepared with lots of snacks. This morning you will arrive in Xi’an, the capital of Shaanxi Province. This vibrant, contemporary city was once the imperial centre of China for 2,000 years, and offers fantastic historical sites to visit. Your activity today is a guided walking tour, including seeing the Bell and Drum Towers – built to retrain the dragons from causing earthquakes, or so legend says. The Muslim Quarter you’ll explore is home to charming shops, tea cafes and the Great Mosque – the most important in China – and you’ll also discover the City Walls and Gates. The history of Xi’an’s Silk Road lends itself to a myriad of cultural influences, especially when it comes to food. Have a taste of Muslim fare, or treat yourself to traditional Chinese dumplings. 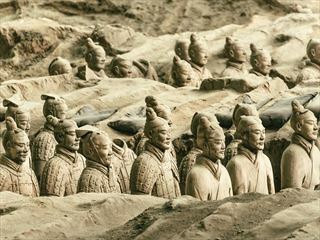 Another day in Xi’an sees you exploring the surrounding countryside, including one of the most iconic attractions on the trip – the Terracotta Warriors. 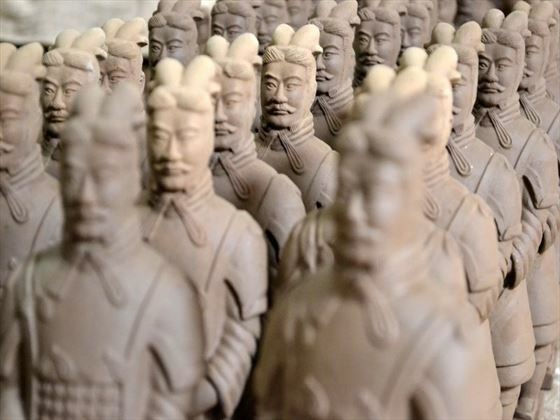 Learn all about this fascinating archaeological find of clay statues of soldiers, horses and chariots and explore the three main pits where over 1,000 warriors are displayed. Look closely, and you’ll see that every warrior has a unique facial expression – incredible. Afterwards, you will tuck into lunch with a local family, before visiting Xi’an Huiling. Meaning ‘wise spirit’, this amazing project was created for young people with learning difficulties, and you’ll get to watch a performance and look at wonderful handicrafts created by the students. Today you will travel to the famous Great Wall of China. Be sure to grab some snacks, as it’s a long day. First, you will transfer to the train station, where you will board the high-speed train and travel around six hours to Beijing. Once there, you’ll be picked up by a private vehicle to drive two hours to a section of the Great Wall, where you’ll check in to a characterful, family run village guesthouse. A warming, home cooked dinner will be waiting for you. 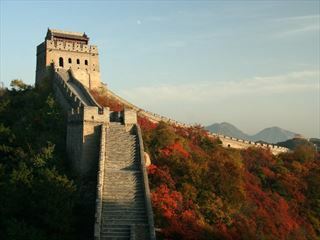 This is your chance to explore the amazing Great Wall. In the morning, you will explore a section of the wall, giving you ample time to take photos and drink in the views and you walk along the winding path. After your visit, you will drive back to Beijing. Day eight will be spent exploring the centre of Beijing. 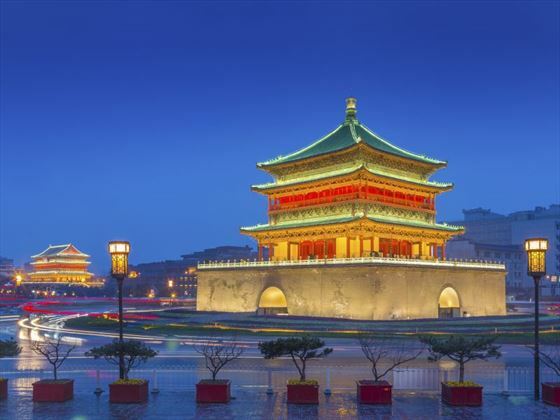 You’ll start with a trip to Tian’anmen Square – the symbolic centre of Chinese power – where you’ll discover the Gate of Heavenly Peace, Mao’s Mausoleum and the National Museum. 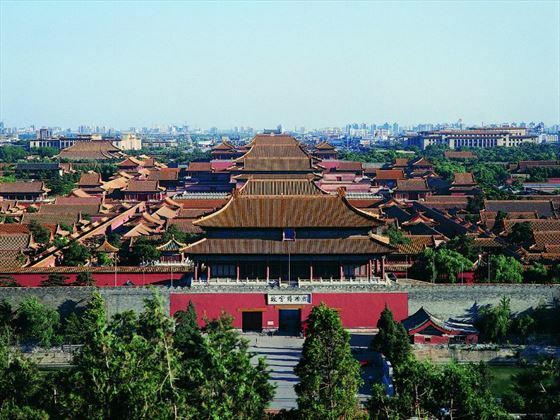 From there, you will journey through the Forbidden City in search of beautiful courtyards and great halls. Wherever you go, Beijing in full of culture and history. Today is your final day. There are no activities planned, so you can depart your hotel at any time. Amazing savings Book your holiday by 3 May 19 and receive up to $290 discount. Travel before 15 Dec 19.